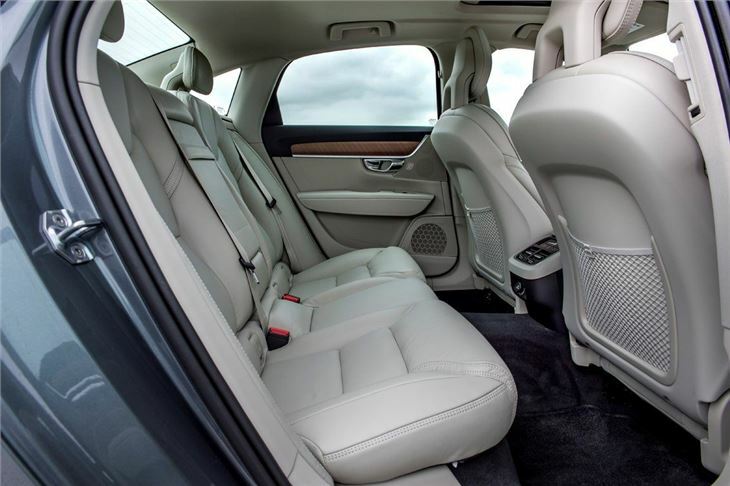 Genuine premium feel with a luxury interior. 2.0-litre diesel engine is impressively quiet and smooth. Excellent ride comfort. Good value for money alongside the competition. 8-speed torque converter auto. Limited engine range. Boot is deep but the opening not large. 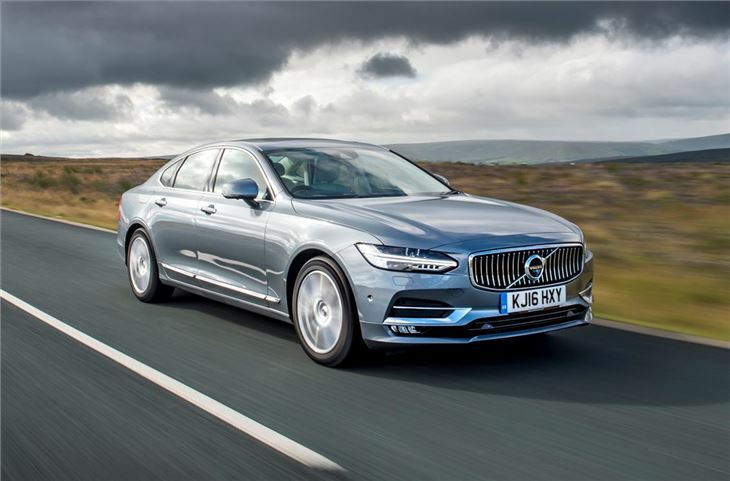 With the S90, Volvo finally has a high quality saloon that's easily a match for the competition. 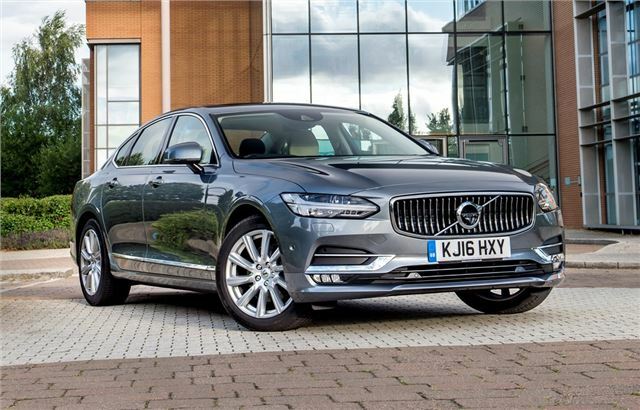 With a genuine sense of luxury inside, a beautifully smooth ride and an excellent 2.0-litre diesel engine, the S90 is one impressive premium saloon that offers a genuine alternative to the usual four-door suspects. 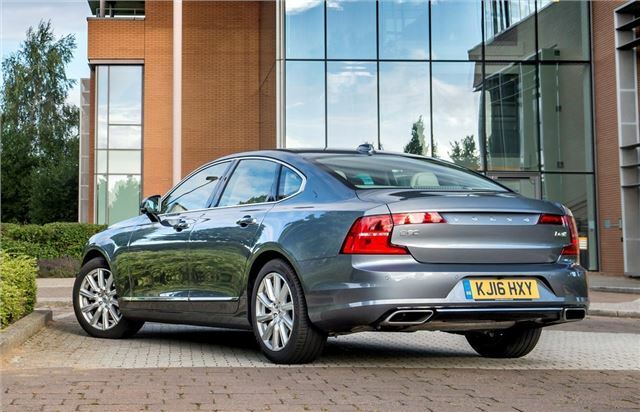 It replaces the S80 in Volvo's range but the two are like chalk and cheese. This is one of a new breed of Volvo cars that follows on from the impressive XC90. True the estate V90 version will probably make more sense for many - after all Volvo is well renowned for its estates - but if you don't need the extra carrying room, the S90 will be right up your street. Just one 2.0-litre diesel engine is available. It may seem too small for a car this size but with twin turbochargers it offers more than enough performance. The entry-level D4 version has 190PS and we think it provides all the power you'll need, while official economy of 64.2mpg should mean running costs are reasonable. Automatic transmission is 8-speed torque converter (presumably ZF?). The D5 uses the same engine with 235PS, but doesn't feel that much quicker in everyday driving. It does however come with all-wheel drive as standard. What really stands out is the S90's comfort. It's wonderfully quiet on the move, the ride quality is excellent and the seats incredibly comfortable. We can think of no better car for covering long distances. 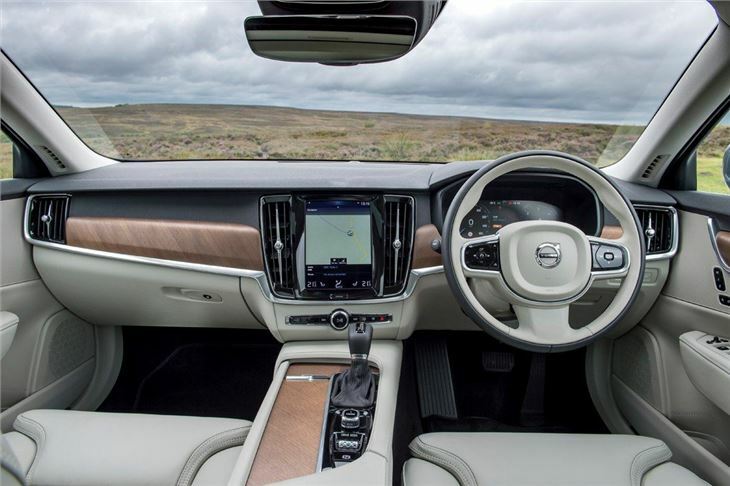 With a high quality interior, the Volvo has a genuine feeling of luxury thanks to lots of leather and different interior trims so you can create your own Scandanavian hideaway. Or just go for black. The quality of the finish is top notch and features like the huge touchscreen that dominates the dash, make this feel very different from the competition. It drives well too and is a huge improvement on the S80. 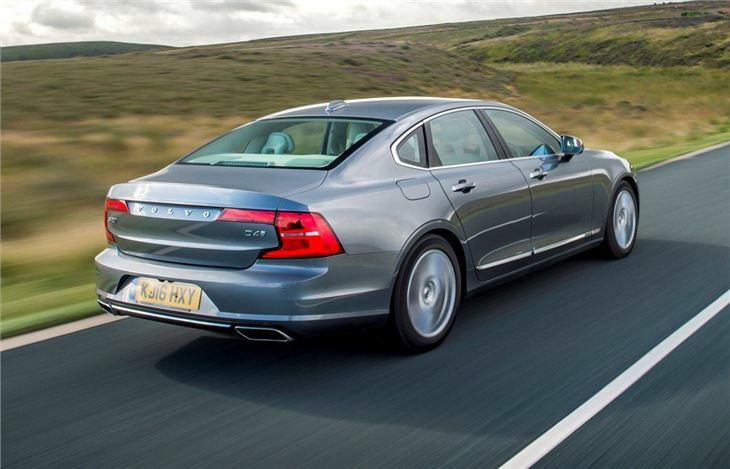 The onus is still on comfort, but the S90 corners impressively with responsive and well weighted steering. It isn't a small car though, which you notice in tight car parks or down narrow country lanes. 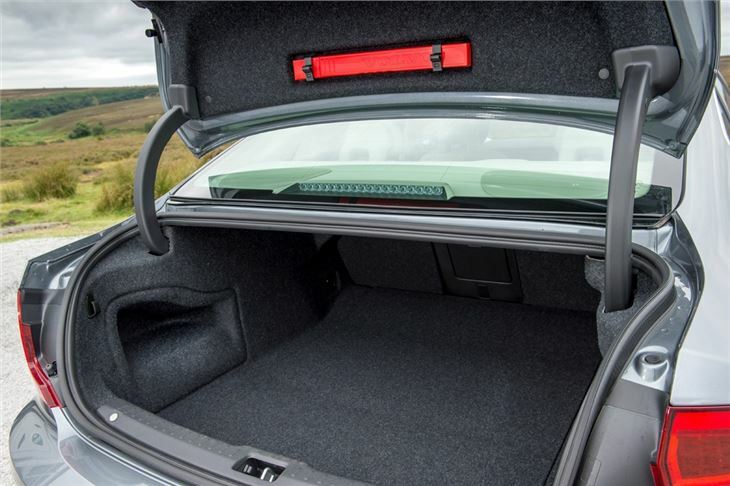 There is a huge range of safety kit fitted, including a semi-autonomous driving system. This matches the speed of the car ahead, stays in its lane and will even slow to a complete stop before accelerating back up to the selected speed, all without the driver’s help. It's clever stuff and does actually come in handy in real world driving.